5 × 9 = Required Please enter the correct value. If you're looking to hit a home run over the next 12 months, your best bet for stocks to buy now is biotechnology companies – especially those focused on cancer research. Here's why: biotech stocks have been in a stealth bull market in 2012. In fact, the values of the 230 publicly-traded biotech companies tracked by the BioWorld Stock Report have jumped by an average 38% year-to-date. The third quarter was especially hot. The Nasdaq Biotechnology Index rose 10% over that time frame and is up a healthy 37% this year. And, nothing is hotter than companies focused on the battle against cancer. Take Medivation Inc. (Nasdaq: MDVN), for example. This California-based biotech has jumped from $23 to $46 a share, largely on the approval of Xtandi, its novel prostate cancer drug. Thousands of other experimental drugs are going through various stages of clinical trials, and the largest category in the pipeline is cancer drugs. With that in mind, it's safe to say that if you're looking for a stock with big upside potential, cancer-driven biotech stocks should be high on your list. A cancer diagnosis was once a death sentence — especially if you were diagnosed with the disease in its late stages. But, both government and industry have spent vast sums in the last decade researching how cancers develop and spread. And now all that investment is starting to pay off — recent clinical trials and treatment breakthroughs show real promise. The newest cancer research focuses on three fronts. Finding ways to boost the ability of the body's own immune system to recognize and kill malignant cells. Identifying unique characteristics of cancer cells and aiming drugs to destroy only those cells – as opposed to traditional chemotherapy, which kills healthy cells, too. Blocking the pathways used by cancer cells to spread throughout the body and killing the trapped cells before they escape and multiply. These revolutionary new therapies have given patients renewed hope — and investors good reasons to bid up shares of biotech companies that specialize in cancer cures. The value of a company that's working on cancer cures hinges on how its drugs progress through clinical trials. The Food and Drug Administration (FDA) requires drug makers to navigate a three-stage testing process to prove a drug's safety and effectiveness. New drugs are first tested on humans in Phase One trials to determine whether a drug is effective and if it has serious side effects. Phase Two testing treats a specific illness in a larger group of patients at a predetermined dose level and measures how patients tolerate it. Phase Three trials compare the benefits of the drug against existing treatments. If the drug ultimately proves both effective and safe, the results are submitted to the FDA for approval. Clinical trials are everything, since 95% of all new drugs never make it through clinical trials. But as a drug successfully completes each trial, the odds of success rise. And analysts start to boost their values — often by exponential amounts. Still, almost anything can happen before a drug gets final regulatory approval. "These are inherently risky assets," said analyst Geoffrey Porges of Bernstein Research. For investors, that presents both challenge and opportunity. The failure of a single clinical trial can send both the company and its investors into a tailspin. Conversely, if a drug succeeds, a small company could suddenly have the potential to double in price overnight. By focusing on biotech stocks with drug candidates headed into late stage clinical trials you can vastly increase your odds of finding a winner to buy now. Exelixis Inc. (Nasdaq: EXEL) is developing Cabozantinib, an inhibitor of tumor growth in the development and progression of various cancers. The drug is in Phase III trials for the treatment of thyroid cancer and also in clinical programs focused on the treatment of prostate, ovarian, breast cancer and melanoma. In addition, Exelixis is collaborating on additional therapies with heavy hitters like Bristol-Myers Squibb Co. (NYSE: BMY), Sanofi SA (ADR NYSE: SNY) and GlaxoSmithKline plc (ADR NYSE: GSK). ARIAD Pharmaceuticals, Inc.'s (Nasdaq: ARIA) Ridaforolimus is being studied in multiple clinical trials in patients with metastatic sarcomas, breast cancer, endometrial cancer, prostate cancer and lung cancer. The company has collaboration and license agreements with deep-pocketed Merck & Co. Inc. (NYSE: MRK) for the development, manufacture and commercialization of ridaforolimus and licenses to develop and commercialize stents and other medical devices to deliver the drug. And in June, the FDA approved Carfilzomib, the Onyx Pharmaceuticals Inc. (Nasdaq: ONXX) drug for multiple myeloma. 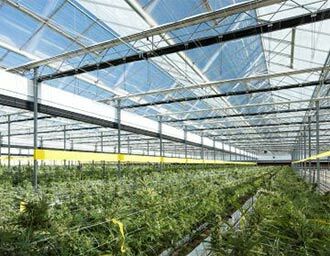 According to analysts' estimates compiled by Bloomberg News, the drug could ring up annual sales of $523 million by 2016 — more than doubling last year's revenues. Onyx is also involved in a partnership with Bayer AG (ADR PINK: BAYRY) with drugs that treat kidney and liver cancers. As for a fourth, Private Briefing Editor Bill Patalon has discovered a biotech stock with a large, sudden and concentrated block of insider buying. In fact, these insiders just spent $353,000 on the purchase of nearly 215,000 shares of their company's stock. According to Bill, this company is so strong its shares could jump by 295%. To learn more about this company click here. You have recommended Delcath repeatedly. On Wednesday morning in premarket trading it appeared to have sold for 40 cents per share at a 66% loss to the previous day's close. I braced myself for a sharp selloff at opening. 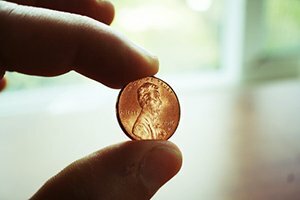 It only dropped a penny at the opening bell from $1.20 to $1.19. Please let me know if you are aware of any new information that may be available causing a downgrade it Delcath prospects. It happened on the morning after their conference call.